When you enter the Whiterun area for the first time, you will witness a group of warriors killing a giant who was wreaking havoc on a farm. Assist them and Aela will inform you about the Companions group based in the mead hall Jorrvaskr in town. Head to the hall area right of Dragonsreach and speak with Skjor. The rest of this quest involves proving your worth to Vilkas and Kodlak Whitemane and then becoming familiar with the people in the Companions and their living space. After you are officially accepted into the group as an initiate, you are free to take weapons off the walls and use the beds available in the Living Quarters. 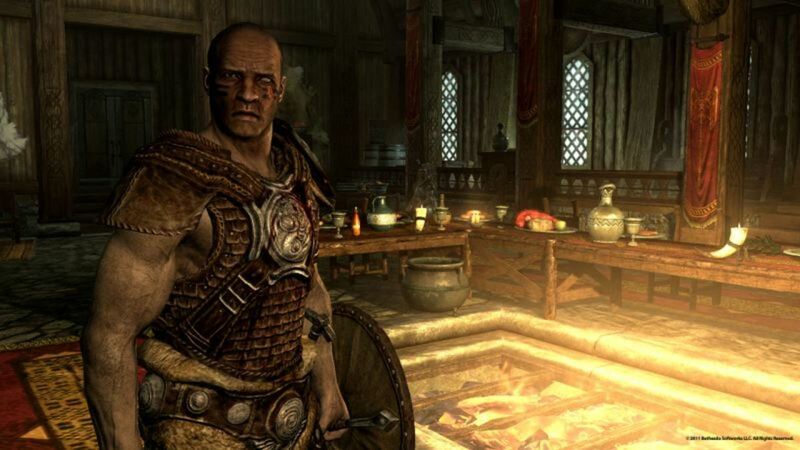 You will be asked to help in a randomly generated quest (please refer to The Elder Scrolls V: The Companions of Whiterun Radiant Quests Walkthrough for more info) before you can begin the next official quest for the Companions, so approach a member of the group to help them with anything they need. Make your way to the cave and fight your way through the straightforward hallways. Watch out for Draugr and Skeletons until you get to an open area with some thrones. You will notice that the way is blocked; head into the small room on the side of the main room and activate the lever inside. You will be trapped, but Farkas will help you out after you find out his dirty little secret. Head through the newly opened door and continue forward. Fight off the Draugr and Skeletons until you reach a large chamber with many coffins in it. The key to the door is in an urn nearby. Continue through the door, killing Skeever and a Giant Frostbite Spider until you reach the last large room. There is a wall with a Word of Power for the Shout- Fire Breath, and the piece of Ysgramor’s Blade you seek in the center of the room. When you approach the exit, a number of Draugr will attack. This is a fairly lengthy battle, so conserve your magic and stamina as much as you can by taking a secondary role to Farkas. When the last Draugr is killed, head through a small tunnel in a coffin to find an exit back to the beginning of the cave. Return to Skjor in Jorrvaskr with the Fragment of Ysgramor’s Blade. After an initiation ceremony, you can speak with any of the other leading members for more Radiant Quests, but you are not required to complete any to open up the next official Companions quest. 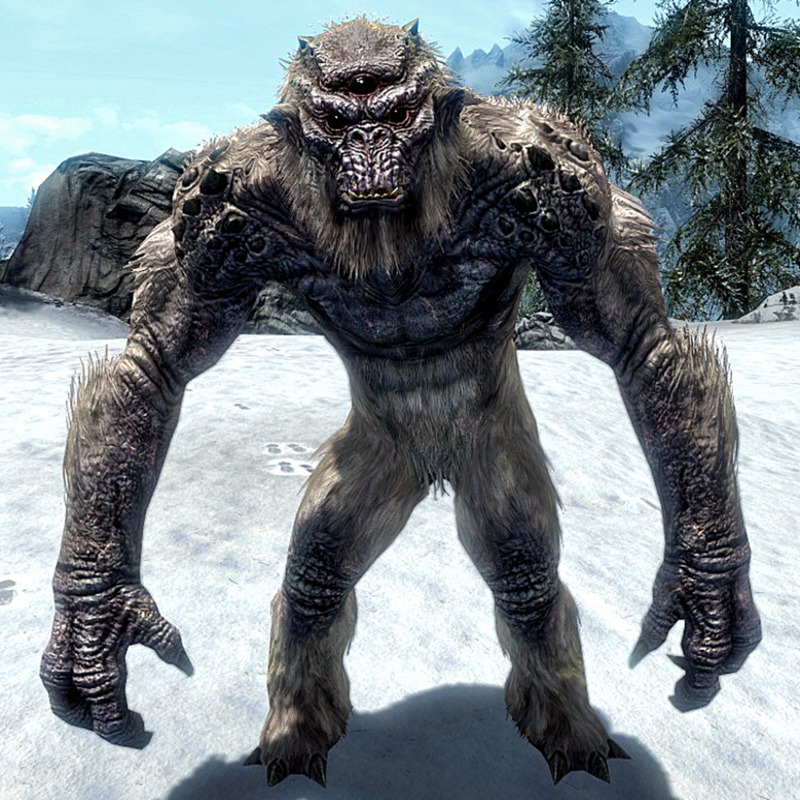 Speak with Skjor in Jorrvaskr and he will ask you to meet him at the Underforge at night. The entrance is found in a rock wall north of the hall. Welcome to the ritual hall, where you will become a werewolf. Activate the Sacred Font to start your first change. Be careful where you go in this form. It is much easier to wait for an hour and use your new ability where you won’t be caught for your first change. Everyone will run from you, but no crimes count against you when you return to human form. However, people will automatically try to attack you in fear. You can only turn into werewolf form once a day unless you undertake the Daedric Quest: Ill Met by Moonlight. When you come to, visit Aela and she will ask for your help defeating a group of werewolf hunters located in Gallows Rock. Take down the Silver Hand members in the cave and make your way to the leader, Krev the Skinner. He comes with two guards, so if you would like to transform into a werewolf, now would be a good time. After a sad scene with Aela, you must complete two more Radiant Quests in order to continue on with the Companions Quests. Speak with any main members in order to begin them. Visit Kodlak after completing two Radiant Quests and speak with him for a little while. 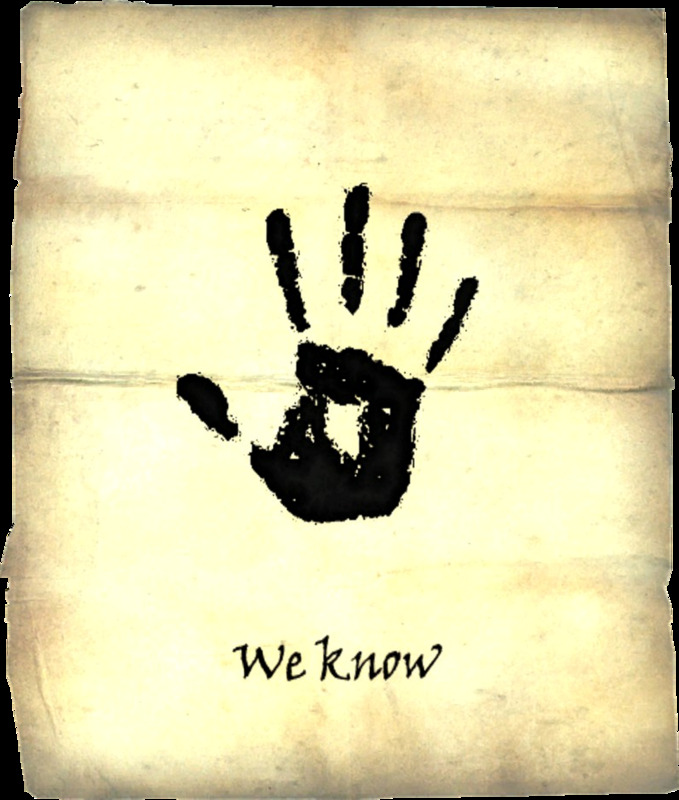 You are tasked by Kodlak to kill a Glenmoril Witch at its Coven’s cave. When you enter the cave, the first Glenmoril Witch is close by. She has very powerful frost spells, so try to get a sneak attack in before she sees you. When you defeat the first one, you are technically done with the quest after retrieving her head, but you can defeat the others in the cave if you want more experience or loot. Head back to Whiterun and go towards Jorrvaskr. Apparently, the Silver Hand has attacked the home base and killed more members in order to steal the Fragments of Wuuthrad you have collected. You are scolded for not being there during the ambush, but Aela begins to understand what Kodlak was seeking. The Glenmoril quest was not in vain, but it is now postponed until vengeance is wrought on the Silver Hand and the pieces of Wuuthrad are reclaimed. NOTE: There are no Radiant Quests available at this time. 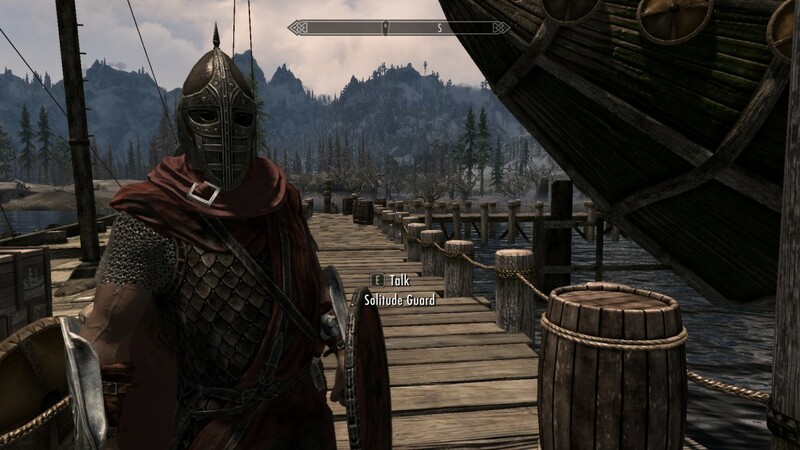 Vilkas asks you to accompany him to the Silver Hand headquarters in Driftshade Refuge. It is a fairly long trek by foot to the cave, which is located south of Dawnstar. Fast travel closer if possible, or take a horse to make the journey faster. Run into battle as soon as you arrive, since there are guards all around the entrance. You are not required to wipe out every enemy here, but you may as well in memory of your fallen comrades. Enter the cave and seek out the Silver Hand inside. The stolen Fragments of Wuuthrad are found farther inside the caverns, but be careful of ambushes and traps on the way. To reach Driftshade Cellar, activate a lever to the right of some spears in the first area. Fight through more Silver Hand and find the dungeon’s prison cells through a small corridor. Release any werewolves if you want, then pass through the snowy tunnels back into the cellar area. Now enter into the large hall area and defeat more Silver Hand, then head south into the refuge area. Head left to find the remaining Silver Hand members and the pieces of Wuuthrad that were stolen. NOTE: There are still no Radiant Quests available when you return to Jorrvaskr. Return to the group in Jorrvaskr and attend the funeral of Kodlak. Eorlund asks you to retrieve the last piece of Wuuthrad in Kodlak’s living quarters in order to prepare them. Return the pieces to Eorlund and head to the Underforge to speak with the Companions. If you read Kodlak’s journal in his room, you know what he wanted to do before he died: cure himself of the disease that causes one to become a werewolf. Vilkas suggests that they respect his final wishes by visiting the Tomb of Ysgramor, a place that Harbinger souls travel to get to Sovngarde. The tomb has been closed off because Ysgramor’s Blade has been destroyed, but Eorlund says there is a way to reunite the pieces. After the blade is reforged, Eorlund gives it to you and the group sets off. The entrance to the Tomb of Ysgramor is northwest of Winterhold in the ice fields. Once inside, place the weapon in the hands of the statue to open the door to the north. You will be exploring the cavern without Vilkas, but the others will be accompanying you. 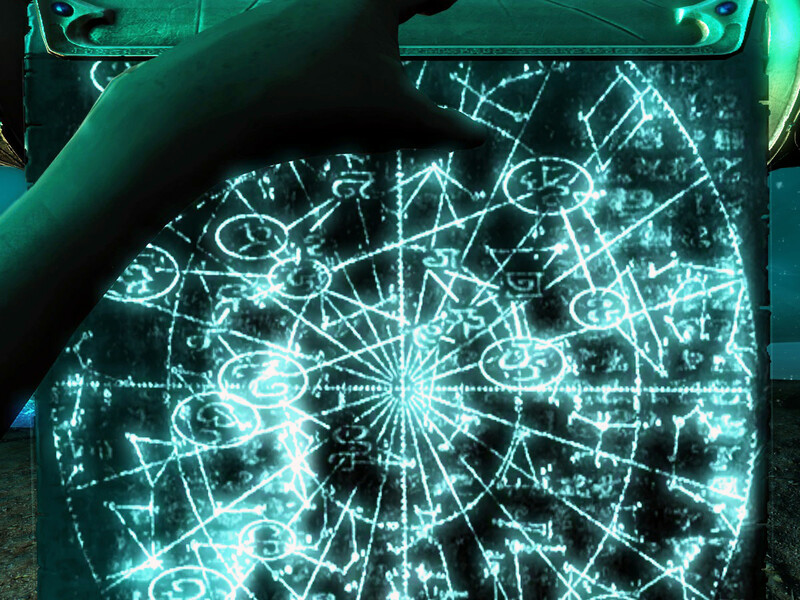 Slay the ghosts of the Companions past as you head towards the double doors to the west. Once through, head south and defeat ghosts as they appear. Farkas leaves you as you head into the cobwebs, so be a little more cautious while fighting the Frostbite Spiders ahead. Find the chain in the south and head into the main tomb, then find the iron door into the next hall. Make your way through the corridor and activate the handle on the pedestal. 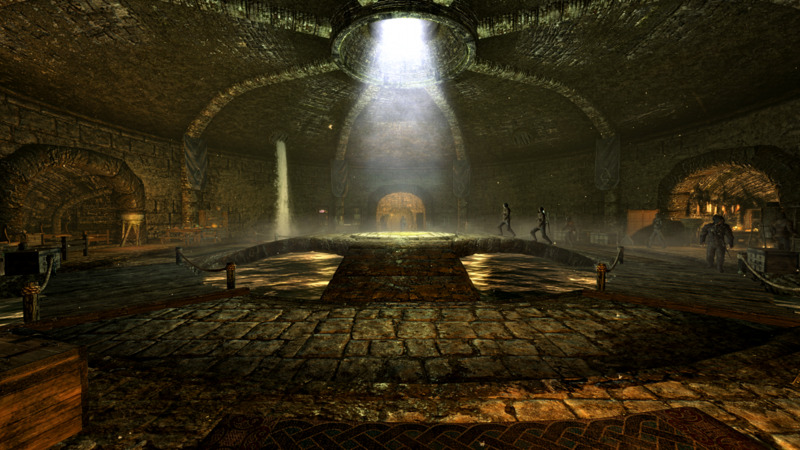 Head north into the large chamber, fighting more ghosts until you reach Ysgramor’s chamber. Speak with Kodlak inside and he informs you how to break the werewolf curse. Put the witch’s head into the fire and defeat the ethereal werewolf spirit of Kodlak. He is now free of the curse and can now reach Sovngarde. Follow the exit on the eastern side and up some stairs to the entrance. Take Ysgramor’s Blade from the statue if you wish to use it. If you head back to Jorrvaskr, you can complete any Radiant Quests available. You can head to the Skyforge in Whiterun if you wish to forge unique weapons if you have the skill. 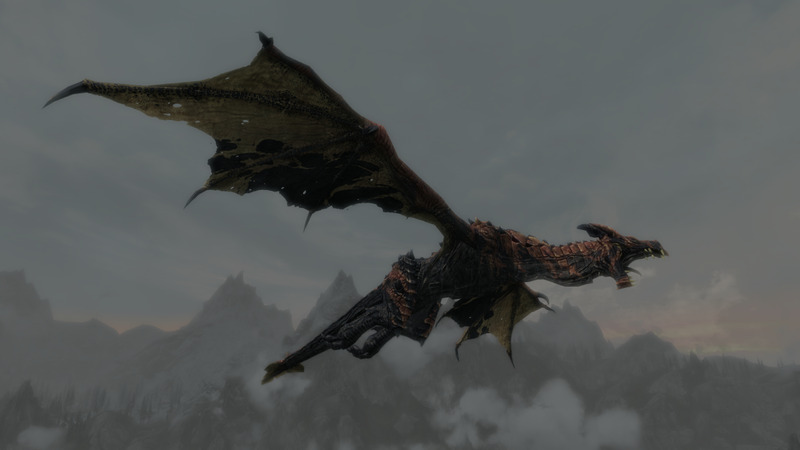 Aela, Farkas, Vilkas, Ria, Njada, Athis, and Torvar are now all available as Companion Followers as well. Congratulations, you have completed the Companions questline! Token plays Skyrim with the Dark Elf - Ormund. Joining the Companions induction quest dungeon - Dustman's Cairn. Carries off enough loot to buy a house! 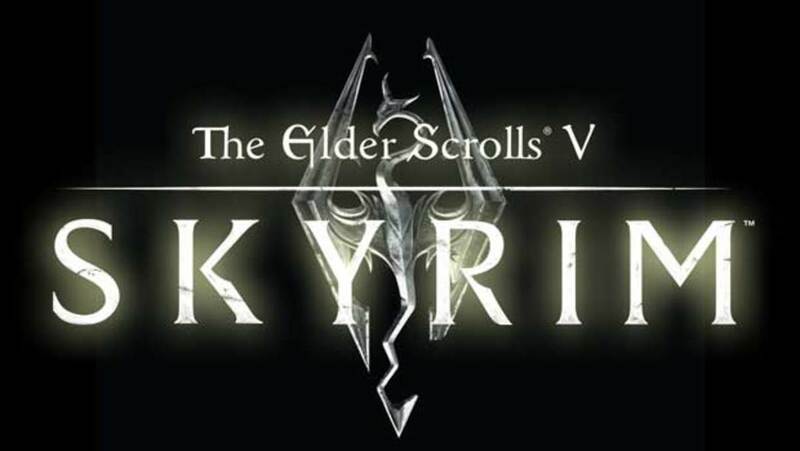 Welcome to The Elder Scrolls V: Skyrim! In this part, I carry on with the Companion quest walkthrough with Purity of Revenge! WARNING: Spoilers included! Which of The Companions Quests did you find most challenging?